Talent management is quickly becoming the human resource industry’s hottest buzz term. Preparing your workforce for the future is obviously important. Equally important yet often overlooked, however, is managing your employees in the present. How your employees are performing today sets the foundation for how your workforce will look in the future. 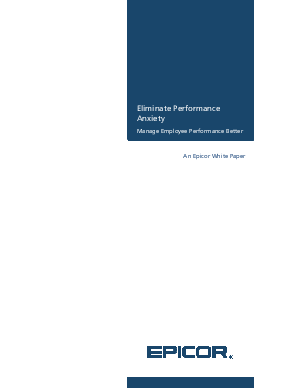 Don’t overlook the importance of performance management and optimizing your workforce today.